Proud and privileged to be in the list of “Goldmine” leaders from the Western Sydney! The Daily Telegraph Newspaper published a list of key people from Western Sydney, calling them “Goldmine” leaders! I feel proud and privileged to be included in this list! I must admit that it was a humbling experience to see my name in this list of great people. Fair Go for the West: Meet the goldmine leaders! Sydney’s West is a goldmine of single-minded leaders who would rather make a difference than make excuses. Whether it be building some of Australia’s most successful businesses, mentoring new arrivals to the West, leading sports teams worth cheering for or simply breeding the best darn chickens you’ll taste, they are making Sydney a better place. 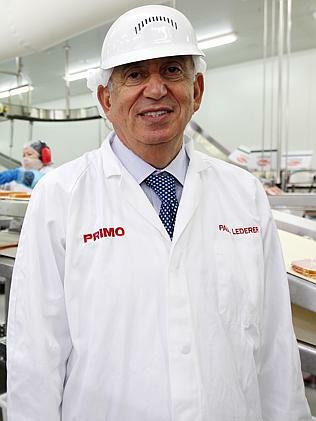 The Primo Group chief executive has transformed a Hungarian family tradition of smoking meats into a $1.4 billion international enterprise run from Chullora with 4000 employees. Estimated to hold a personal fortune of $630 million, he will indulge his passion for soccer when he takes control of the Western Wanderers from July 1, leading a new ownership team including Pirtek founder Peter Duncan and Filipino-Chinese businessman Jefferson Cheng. This dynamic duo have been working and playing hard in Western Sydney since Harvey Norman opened its Auburn store in 1982. The Harvey Norman business, of which Harvey is chairman and Page CEO, now has eight stores in the West, employing more than 1400 locals. Harvey, who went to high school in Katoomba, is also Australia’s biggest horse breeder, while Page’s passions include the West’s exotic food and restaurant scene. They live in the northwest. 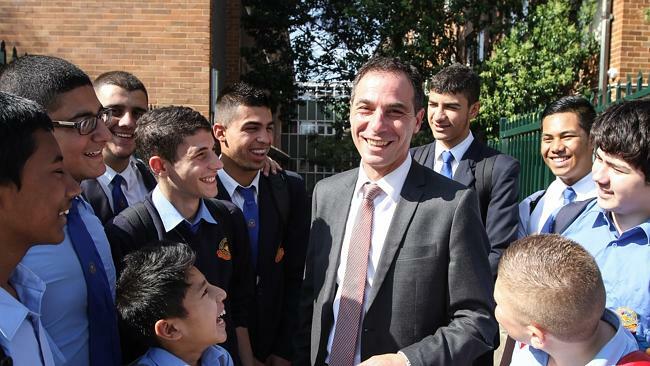 For eight years, the Punchbowl Boys High School principal has been inspiring his students to lift their sights. The results are easy to see. The school where drug gangs once ruled and barbed wire topped the fences now wins educational awards. While only a handful of year 12 boys once thought about going to university each year, now about a third of the class go on and many more do vocational training. Dib was able to joke recently that the school may be getting too soft when a fight broke out over hand cream. 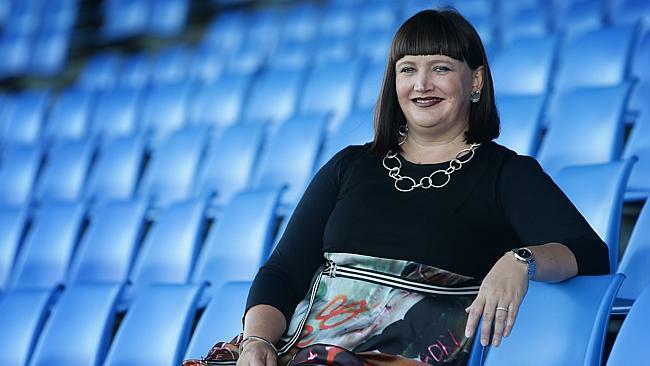 Since becoming the first female to lead an NRL club eight months ago, Canterbury Bankstown Bulldogs CEO has won respect as a no-nonsense operator focused on instilling an honest, hardworking culture. As she builds the Bulldogs’ appeal to the families and businesses of the West, she has shown a strict attitude to player behaviour and doesn’t tolerate fools — as Cronulla’s Andrew Fifita recently discovered when Canterbury terminated his $3.5 million deal after some ill-chosen comments. The Moraitis Group founder has worked in the West for 60 years, building a multifaceted food empire with revenues pushing $1 billion. Through his partnership with fellow western tycoon Paul Lederer, he recently joined forces with Hungry Jacks’ founder Jack Cowin to produce salads and fresh soups for major retailers. 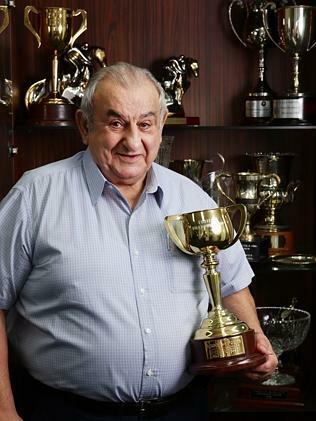 “The West is full of talented people but we need more businesses based here and more jobs,’’ said Moraitis, 79, who owned champion thoroughbred Might and Power. The Marist Youth Care CEO is Western Sydney’s Good Samaritan, having worked with those on Struggle St since helping Aboriginal children in Mount Druitt 30 years ago. 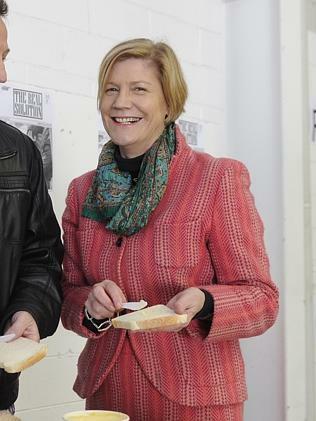 Based at Blacktown, she leads one of Australia’s largest service providers for youth at risk. From advising the PM on how to get our national finances under control to building Western Sydney freeways and a new sports franchise, the diminutive Greater Western Sydney Giants chairman is a serious power player. As the outgoing Business Council of Australia president and former chairman of construction giant Transfield Services, he has a contact book than sprawls from west to east, as evidenced by his recent appointment as chair of the SCG Trust. Described by “Mr Olympics” Rod McGeoch as the “smartest man in the west”, the Marsdens Law Group senior partner has been at the centre of Campbelltown life since growing up in the local pub. Whether it be handling the legal affairs of the region’s business elite or personally lobbying NRL chief Dave Smith to settle a team (ie his beloved Wests Tigers) in Campbelltown, Marsden is a passionate advocate of the southwest, where he has raised his four children. 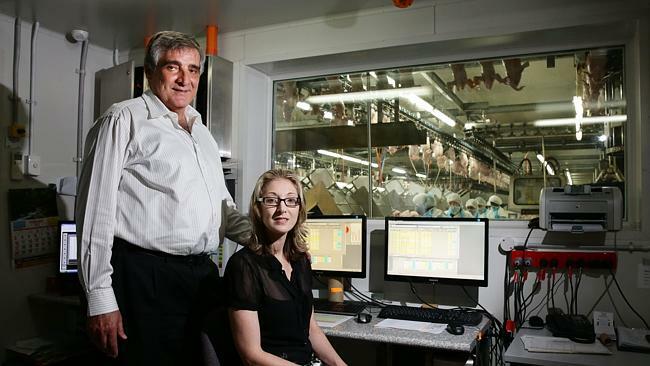 The Cordina family have been feeding Australia “cage-free” chicken since pioneering the concept in the 1950s. The 34-year-old is the first fourth-generation member of the Cordinas to help lead the family’s famous business with her father John. It is now one of the top 100 family-owned firms in the nation. 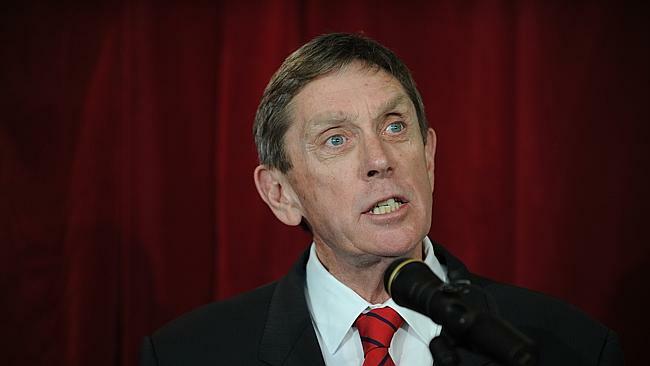 The Wanderers chairman tapped into Western Sydney’s passion and energy to create the A-League soccer franchise. Gorman, highly rated by soccer supremo Frank Lowy, leads a board which includes distinguished Australian-Chinese businessman Benjamin Chow and influential Aboriginal leader Warren Mundine. “One of our major goals is to be a catalyst for true social change across western Sydney — part of that is inspiring young people to be the absolute best they can be,’’ he says. When the history is written of how an airport finally came to be built at Badgerys Creek, at least once chapter should be devoted to Brown. As a member of the federal government’s panel that recommended Badgerys, the Parramatta-bred tourism advocate kept talking when others didn’t want to listen. He was also one of the first to talk up his home town as a genuine CBD. Today, he chairs the Eels Round Table Forum and sits on the board of the University of Western Sydney and the Moorebank Intermodal Company. The electrical apprentice who rose to become CEO of supermarket giant Woolworths, headquartered in north-western Sydney’s Bella Vista, still keeps a focus on the workers of tomorrow. O’Brien leads 190,000 employees, but is spearheading a major youth employment initiative called Generation Success to find ways to give more young people improved career prospects. 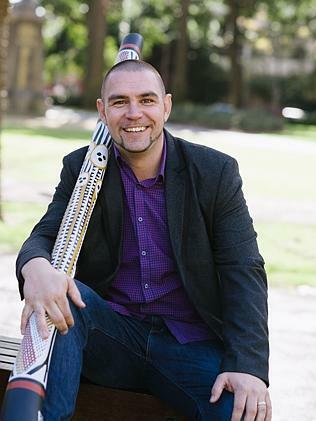 Donovan, an internationally renowned didgeridoo player, was tapped last year to become the national ambassador in mining magnate Andrew Forrest’s GenerationOne indigenous initiative when Warren Mundine stepped down as CEO. The 34-year-old, who is raising four children at Mulgoa, near Penrith, is part of the new breed of indigenous leaders who believes lives are only transformed through education and work, not welfare dependency. The grandson of Chinese immigrant Bing Lee runs what has become the largest privately held electrical retail business in NSW with more than 40 stores visited by 120,000 people a week. Old Guilford continues to serve as Lee’s corporate headquarters, harking back to the company’s early days in Fairfield selling black and white TVs to new immigrants who did not have a credit rating. The Jordanian-born 21-year-old has been identified as one of the West’s articulate young voices. “I believe if you work hard and aim for success you’ll flourish regardless of what suburb you are from or what school you went to,’’ she says. The Macarthur Girls High School vice-captain, who mentors other university students while studying law and international relations, was recently appointed to the NSW government’s Youth Advisory Council. The enthusiastic Liberal MP for Penrith is winning praise since being promoted to become Premier Barry O’Farrell’s Minister for Western Sydney late last year. The 33-year-old, who is the partner of federal Liberal Senator Marise Payne, has helped drive the government’s decision to relocate more than 3000 bureaucrats to western Sydney and understands the urgent need to create jobs and build new houses. The former Labor State Minister and Parramatta Mayor remains a strong campaigner for change as Sydney Business Chamber’s Western Sydney director. “It sometimes feels like those in the east aren’t interested in the west and that’s a problem,’’ he said in his typically frank style last October. 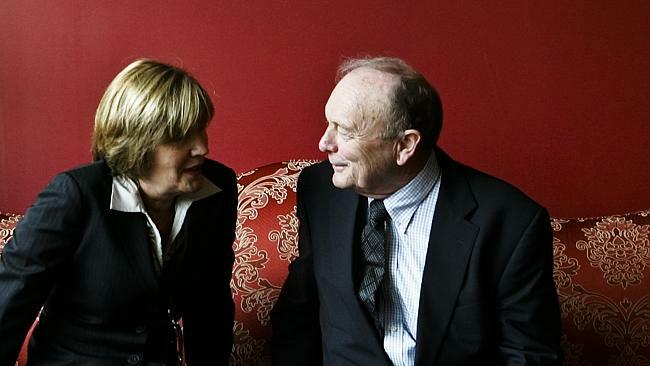 James and Gretel Packer have sought his advice in relation to their $30 million arts gift to the West. The newly appointed University of Western Sydney Vice-Chancellor has wasted little time settling in, winning in-principle approval from his board this week to build a major campus in Parramatta’s CBD. The former VC at Charles Darwin University will work closely in his new role with the UWS’ well-connected Chancellor Peter Shergold. The Indian Australian Association of NSW president set up shop as a cardiologist in Baulkham Hills soon after arriving from India in 1991. He has been writing and speaking passionately ever since as a leader of Australia’s — and Western Sydney’s — fastest-growing immigrant group. His 12,400 Twitter followers are rarely left in doubt about his views, whether it be his advocacy on behalf of Indian students, his defence of Australia against claims it is racist or his support of a Western Sydney airport. The son of Croatian immigrants, the Greenfields Development Co managing director is turning dairy country into up-market housing developments in the buzzing southwest. Estimated by BRW to be worth more than $850 million, the Perich family was once the biggest dairy farmer in the southern hemisphere through its Leppington Pastoral Company. The family’s assets include the iconic former Oran Park raceway where at least 5500 houses and units are being developed, along with the biggest Woolworths in Australia.